Does training ever feel like you’re just going through the motions; like you’re in a rut, not getting the same results you once were? Perhaps you’re lacking motivation or, more simply, you just want to mix things up and maximize your gains? Variety is the spice of life. It is also the key to great training results. Your body needs stimulation to grow; once your muscles adapt to that stimulus you need to introduce a new stimulus that is progressively more challenging. If you vary your training and remember to challenge your body, you will see results. 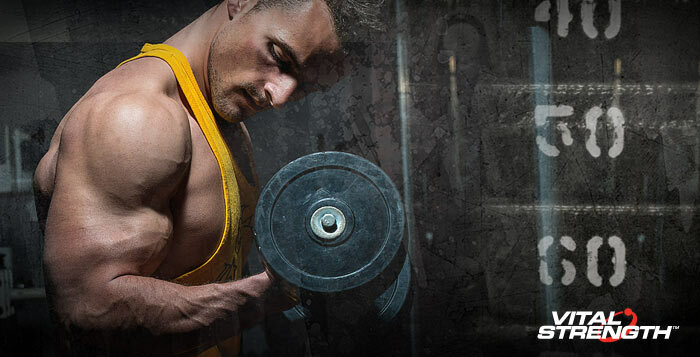 Expert trainer Robert Hammond shares 5 of his favourite training variations to build muscle. Start by adding one of the following training styles into your routine a week at a time, once every 4-6 weeks. These will really shock your body and help you break through to new levels of results. Choose one compound exercise, selecting a weight with which you could perform 20 repetitions. You will perform a set of 10 repetitions, rest for 60 seconds, perform another set of 10 repetitions and rest for 60 seconds. Repeat this until you have completed 10 sets. You should aim to complete all 10 sets using the same weight you started with. Whilst the first few sets might seem easy, as you progress through them it will become increasingly challenging. After this massive set you will only need to complete 1-2 more exercises of the same muscle group, depending on how much energy remains after the GVT. Your subsequent exercises should be your normal sets and reps; example: 3 x 10 reps. Double drop set the last set of each exercise pushing your self to failure each time. For example, if you were performing a seated dumbbell shoulder press and were pressing 30kg for 3 sets, after your third set you would immediately drop to a set of 25kg, and then again to a set of 20kg. Move on to your next exercise repeating the drop sets for the last set again. Hit the same muscle group, utilizing three different exercises with no rest until all three are completed. Rest for 2-3 minutes, and repeat twice more. For large muscle groups like Chest, Back and Legs, it is recommended to complete 3-4 sets of three exercises, and then another 3-4 sets of three different exercises. For smaller muscle groups like biceps and triceps you would complete 3-4 sets of just one group of three exercises. Time to change up the repetitions of your standard training to 15 reps per set, making sure you adjust the weight accordingly. If you rarely train outside of the 6-10 rep range this is a great way to really shake things up. This helps strengthen the mind as well as the muscles. Your body is accustomed to stopping after a certain (lower) number of repetitions. Pushing through to reach 15 reps really tests your willpower along with muscle endurance. Here we are going to superset opposing muscle groups. For example, Push (Chest/Shoulders) and Pull (Back), Triceps and Biceps, and Quadriceps and Hamstrings. It’s great to break out of conventional training routines where you are focusing on just one large muscle group and possibly the synergist muscle to finish.